Lipreading Mom receives emails from readers with the same question—How do I pay for hearing aids? For many, the price of hearing technology is just too much. Insurance doesn’t usually cover hearing aids, and not everyone has a nest egg built up to purchase these expensive devices. In my “hearing loss life,” I’ve owned three pairs of hearing aids. All but one pair were charged to my credit card. The second pair was manufactured by a company named Starkey. In an ongoing look at hearing aid manufacturers, Lipreading Mom recently contacted Taylor Joseph with Starkey Hearing Foundation in Minnesota about the company’s programs to provide hearing aids to those who can’t afford them. Lipreading Mom: When did the Starkey “Hear Now” program begin, and how many candidates have been fitted with hearing aids thus far? Taylor Joseph: Started in early 1988 by Dr. Bernice Dinner, Hear Now officially became part of the Starkey Hearing Foundation in 1999 to meet the growing demand for hearing help. Since then we have provided hearing aids to more than 50,000 people through the program. With our extensive international mission schedule, many people don’t realize that Starkey Hearing Foundation has provided more hearing help to people in the United States than to any other country. We do this through domestic hearing missions and the daily efforts of Hear Now. Each person we help is fit with brand new, top-of-the-line digital hearing aids that are customized to their hearing loss. How did Starkey’s overseas work with hearing aids and the deaf/hearing loss community begin? How many people have been fitted with Starkey hearing aids globally through this program? How can interested volunteers get involved with these missions? Bill Austin has been giving the gift of hearing to people in need for as long as he’s been in the hearing industry and officially founded Starkey Hearing Foundation in 1984. To date we have provided more than 1 million hearing aids worldwide. The work started in the U.S., but hearing loss knows no borders. We soon expanded into Mexico, South America and beyond and have now provided hearing care in more than 110 countries. Currently, we fit more than 100,000 hearing aids annually. 1. Follow us and spread the word through social media. 2. Collect and donate used hearing aids to our recycling program that can be used to help someone need overseas. 3. Help reduce the dramatic increase in hearing loss in you people, by encouraging friends and family to protect their hearing and Listen Carefully. 4. Donate money or hold a fundraiser to support our efforts. We’ve seen some amazing success stories with individual fundraising. Lucas Morang is 14 and has raised more than $33,000! 5. People looking to assist on missions can reach out to us at info@starkeyfoundation.org. 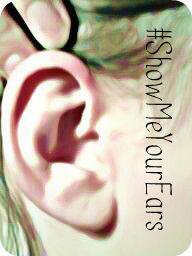 What type of work does Starkey do with companies (such as Scholastic) to promote healthy hearing practices? What is involved with the Vow-to-Act movement? How can LipreadingMom.com readers get involved with Listen Carefully? We launched Listen Carefully in 2011 as an education and awareness program that aims to reverse the dramatic increase in preventable hearing loss among young people. The message is simple: Your hearing is fragile. So don’t listen loudly. Listen Carefully. Miley Cyrus, Jordin Sparks, Larry Fitzgerald, Adrian Peterson and many others have joined us to spread the word and let people know that the majority of hearing loss can be prevented through simple daily actions, like lowering the volume on an iPod or using earplugs at a concert. Through the Vow to Act people can commit to taking measures to protect their hearing and encourage friends and family to do the same. Your readers can help us by spreading the word through social media (using the hashtag #ListenCarefully on Twitter) and in everyday conversation, Vowing to Act themselves, or sharing the message with a school in their area and encouraging them to use the teaching guide/message with students. Please take a moment to explain any other Starkey Hearing Foundation programs, which may be of interest to LipreadingMom.com readers. At Starkey Hearing Foundation, we use hearing as a vehicle to reflect caring and improve the lives of individuals, families and communities around the world. By providing the gift of hearing and showing people in need that we care about them, we are hoping to help them achieve their full potential. We want to empower them and give them hope for a better life, which in turn, gives them the opportunity to do the same for others. The important thing to remember is that you don’t have to give away 100,000 hearing aids to make a difference. Helping at a homeless shelter, serving as a mentor or even just smiling and saying hello to a stranger can have a huge impact. You just have to show someone that you care. Readers—If you have hearing aids, how did you pay for them? You are doing a wonderful service by passing this invaluable information along. I think that it’s a travesty the way insurance companies deal with coverage, rather lack-the-of, for people who need hearing assisted devices. Madmuser – Thank you for commenting. I agree how important it is to have help in affording hearing technology. My two year old son was recently diagnosed with a moderate to severe hearing loss. He is now wearing two hearing aids. How will I know if the hearing aids are working properly? And how will I know if/when they need to be adjusted? Carmine – Do you have an audiologist you see regularly? You might wish to go for hearing check-ups with your audiologist one to two times a year, to make sure the hearing aids are functioning properly. At these check-ups, the hearing aids also can be adjusted by the audiologist. Thank you for visiting my blog. Starkey Hearing Foundation’s domestic program assists those in the U.S. with hearing loss and lacking the resources to acquire hearing aids. For those who are just beginning to search for hearing aids, it can be quite challenging to understand all the different products on the market. I find it insulting that the insurance companies will cover Viagra, but will not cover hearing aids. Nonsense! @Hey2mikey – An excellent point. Thank you. I desperately need hearing aids and my insurance dose not cover them , unfortunatly i can’t put them on a charge card either I am hoping I will find some kind of help and or direction as to how I can get them ! !